Gretchen Benedix is the lead on initial Mineralogy/Petrology of the meteorites found by the Desert Fireball Network. This includes classification and description of the samples. She has nearly 20 years of experience studying, analysing, and interpreting the history of many different classes of meteorites. She will also be involved with retrieval of the samples. She is currently a senior lecturer in the Department of Applied Geology at Curtin University as well as a Research Associate at the Western Australia Museum (Department of Earth and Planetary Sciences). 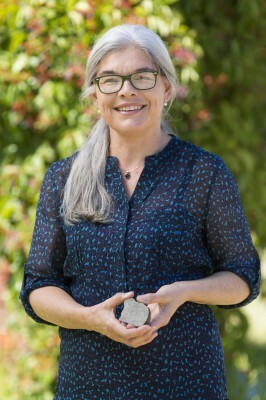 Gretchen is enthusiastic to be a part of the Australian Desert Fireball Network because it represents a unique opportunity to determine the sources of meteorites. This adds a level of context common in earth-based geology that is not usually available when studying meteorites. This project also allows her to combine her favorite things to do, such as looking for meteorites and camping!